Does your child find it difficult to get to sleep? This gentle, relaxing download for kids about 8 years and over, (and even adults too) can be really helpful and calming. Children relax comfortably, imagining breathing in the colour of calm and breathing out worrying thoughts or feelings. Using an imaginary paintbrush or gold glitter pen, they paint or write down any worries on to a sheet of white paper and then fold it up over and over and squeeze it into a matchbox. Everyday household sounds such as gurgling radiators or creaking stairs are reframed with a safe twist and they are encouraged to FEEL PEACEFUL AND AT EASE. This SUCCESSFUL APPROACH is based on natural, safe, sound hypnotherapy principles: act out each positive step in the imagination and dramatically increase the chance of success in the real world. Lynda's gentle, English voice calms, re-assures as she gives suggestions for boosting confidence and self-esteem. As a former teacher and clinical hypnotherapist of many years standing, she has helped thousands of children world-wide through her downloads. She has featured in the press, TV and radio and is author of two widely acclaimed books on hypnotherapy with children and adults. I got this for my daughter, who has trouble getting to sleep. 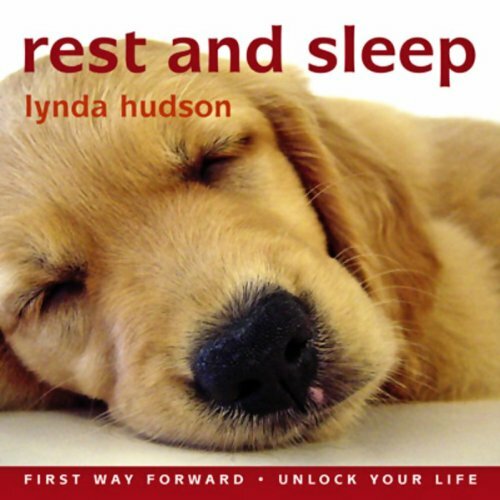 It seemed to be helping, until one night when she stayed awake for the whole CD - the music is soothing, quiet, restful, drifting off into nothing when suddenly you get WE HOPE YOU ENJOYED THIS AUDIBLE AUDIOBOOK which woke her right up again. I had to rip and edit the CD, and then burn it again to take this out. Many others would not be able to do this, so be aware that the end of the relaxing CD has the equivalent of an alarm clock at the end. It worked a treat! A safe way to get your kid to go to sleep. Worked every time until she got too familiar with it and it became a bit repetitive and boring. So I bought another of these and that worked too. Could do with a wider choice for purchase.